This album was made in 1989, the same year such female singer-songwriters as Shawn Colvin, Sinead O'Connor, Enya, Tori Amos and Melissa Etheridge were arriving on the scene. (In Enya's case, she'd just started her highly successful solo career.) McLachlan proved to be a more enduring figure than most of these artists. It's too often that fans lightly dismiss popular artists' first albums because they were released supposedly before they discovered their style. 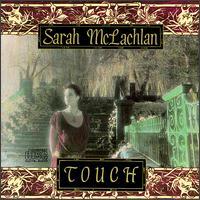 I can see where McLachlan fans are coming from, but the songs we hear on Touch is unmistakably Sarah McLachlan; it consists mainly of mostly folk-pop music with the possible exception of the title track, which is strongly reminiscent of New Age. So, let's talk about this lovely album. It has more than its fair share of moments. McLachlan wisely starts it off with two of her most enticing works, "Out of the Shadows" and "Vox." They're engaging in two almost entirely different ways. "Out of the Shadows" is a song so elegant that it wants to transport me to an outdoors location --- perhaps in a green valley staring up at the mountains. "Vox" is more of a hook-centered pop song, and the melody is likely to linger in your brain long after the album stops playing. The worst song of the bunch is quite easily the choppy and unnecessary instrumental "Uphill Battle," although it's not a bad song either. The melody is good, but it doesnt have a soul. I would have expected an instrumental to implant gorgeous images in my mind or at least sport an impressive instrumentalist. Unfortunately, "Uphill Battle" has neither. McLachlan would have improved it had she used it as another opportunity to strut her chops, but I guess it was destined to be a missed opportunity. Nonetheless, this is an excellent album from this then-emerging artist. It demanded attention then, and it demands attention from you now.